If you love garlic and mashed potatoes, you absolutely must give roasted garlic mashed potatoes a go. 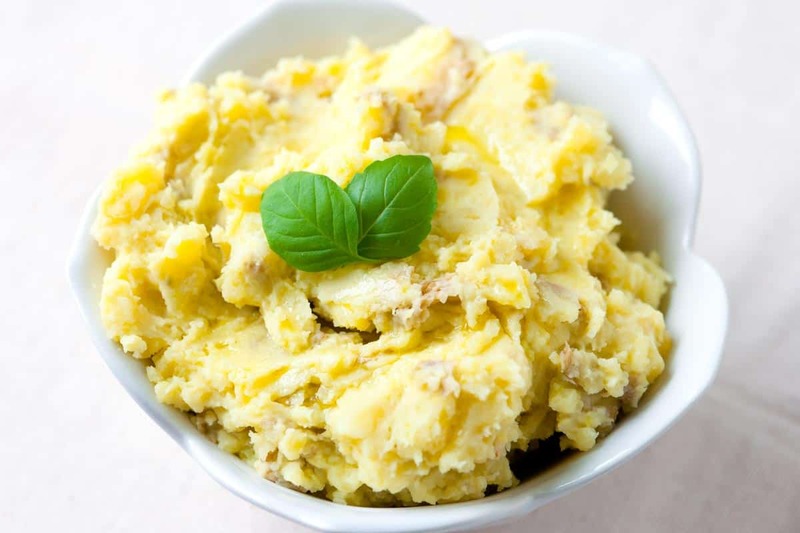 Jump to the Roasted Garlic and Olive Oil Mashed Potatoes Recipe or read on to see our tips for making them. Most of the time when we make mashed potatoes at home, we use butter. 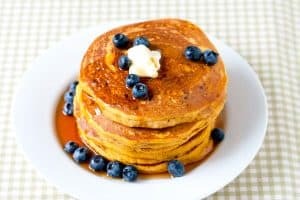 That’s delicious, but swapping the butter for olive oil makes the potatoes fluffy and light. 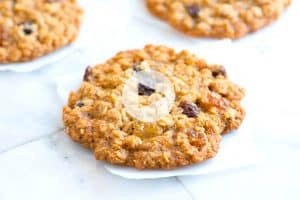 Bonus: they are also vegan. Start by roasting a whole head of garlic — it’s easy to do and you can even make it in advance. Roasted garlic can be refrigerated for up to two weeks. To roast garlic, cut a head of garlic in half then drizzle with some olive oil. Wrap the garlic in foil then bake until the garlic is completely soft, about 40 minutes. When the garlic is roasted, mash it into cooked potatoes with some olive oil. By the way, if you find the potatoes are a bit dry, add a little of the cooking liquid from when you cooked the potatoes. That should thin them out a bit and lighten them up. YOU MAY ALSO LIKE: Our Creamy 20-Minute Mashed Cauliflower Recipe. 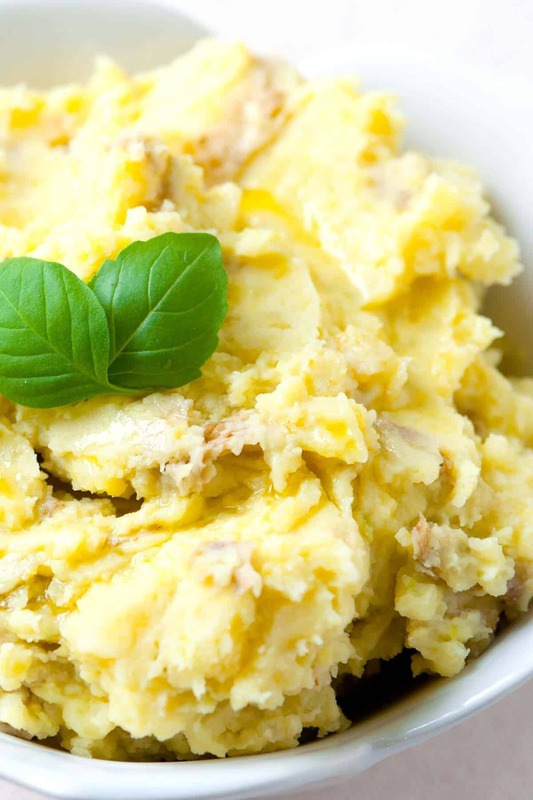 It’s a great, low-carb alternative to mashed potatoes. 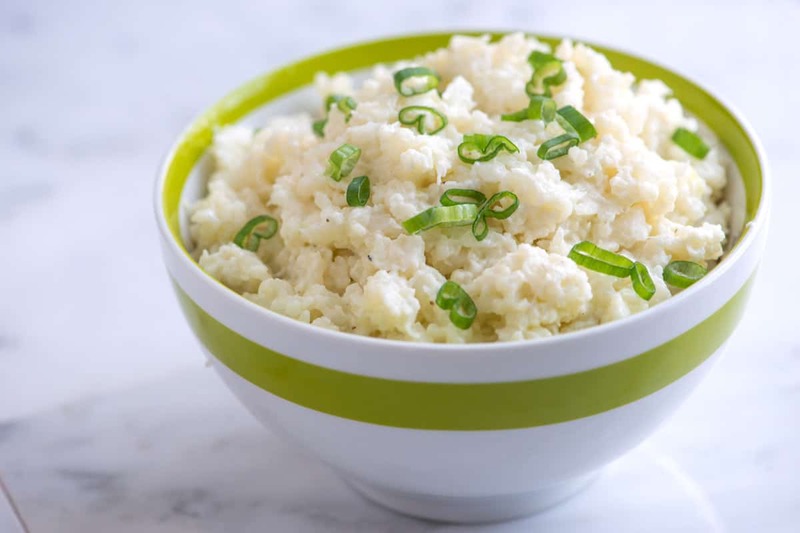 Jump to the Mashed Cauliflower Recipe. 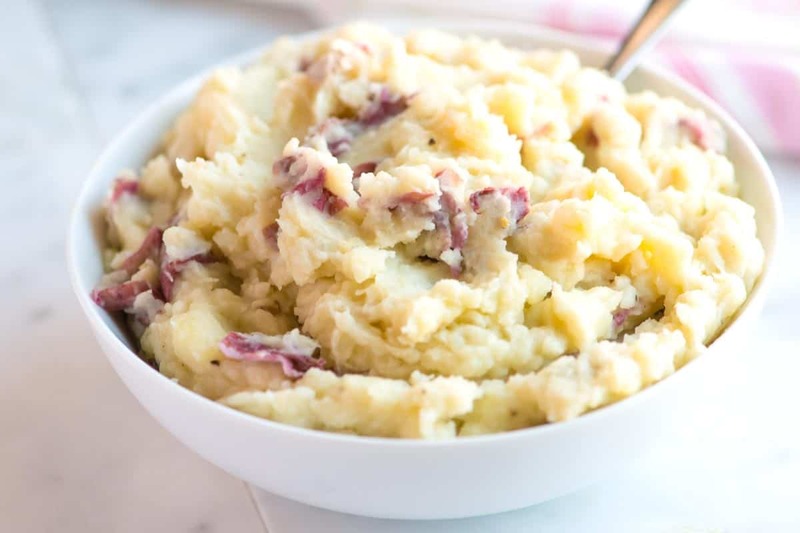 These mashed potatoes are very simple to make and are completely vegan. Instead of butter and cream, we mash in roasted garlic, fruity olive oil and a little cooking liquid. Heat the oven to 400 degrees F. Peel most of the paper off of the garlic head, but leave the head intact. Trim about 1/4-inch from the top of the head of garlic to expose the tops of the garlic cloves. Drizzle 1 tablespoon of olive oil over the garlic, letting the oil fall down into the cloves. Wrap with aluminum foil then bake until the garlic is completely soft when pierced with a small knife, 40 to 50 minutes. For even more caramelization, roast longer, checking every 10 minutes. When the garlic is done roasting, bring a large saucepan with water to a boil. Add the potatoes and 2 teaspoons of salt. 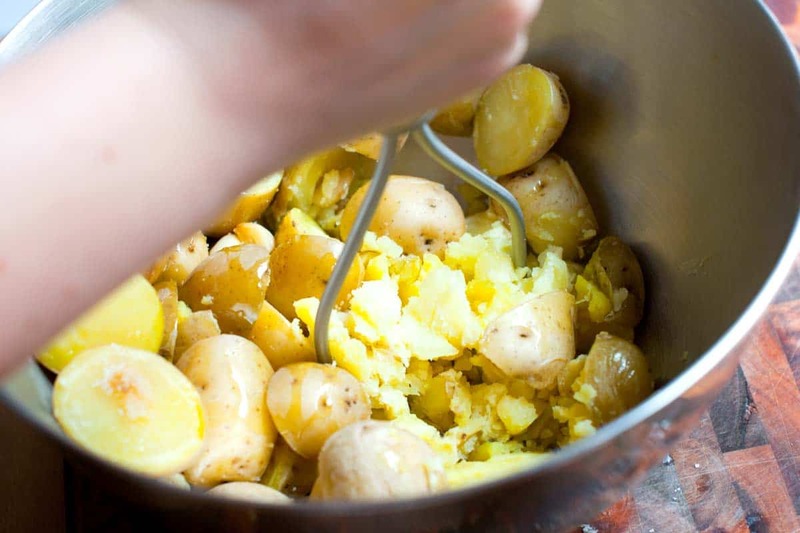 Cook until potatoes are tender, about 15 minutes. Reserve 1 cup of the cooking water then drain the potatoes. 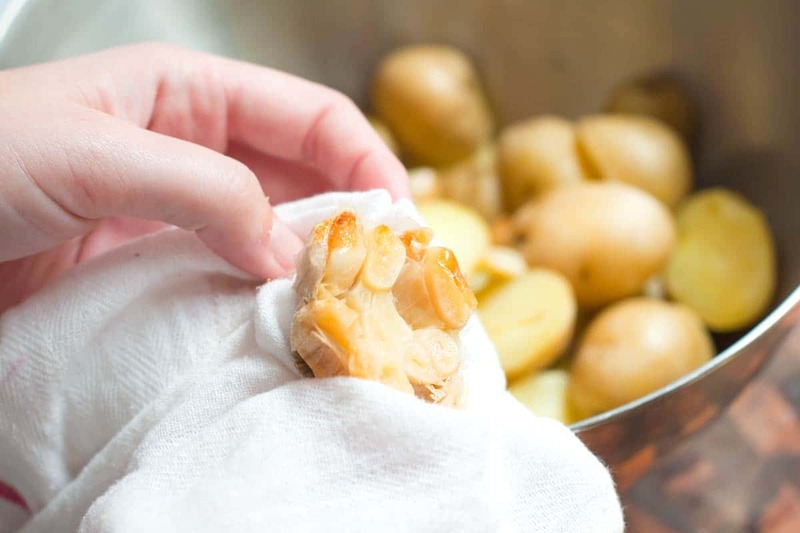 Squeeze the roasted garlic into the pot with drained potatoes. Mash. Stir in 1/4 cup of olive oil and then thin out the potatoes with some of the reserved cooking liquid. Taste for seasoning and adjust as necessary then serve. Roasted garlic can be refrigerated for up to two weeks.